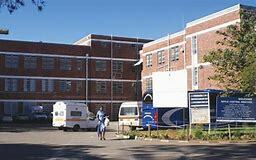 ABOUT 150 cancer patients accessing radiation services from Mpilo Central Hospital in Bulawayo are stranded following the breakdown of machinery at the hospital since November last year. Radiation therapy which is also called radiotherapy is a cancer treatment that uses high doses of radiation to kill cancer cells and shrink tumors. Those who can afford it have moved to Harare seeking the lifesaving treatment while a majority of them are at risk of having cancer spread in their bodies which weakens treatment in fighting the deadly disease. In an interview Mpilo clinical director Dr Solwayo Ngwenya said the breakdown was due to power supply challenges. “As we all know we use highly sensitive machinery in cancer treatment and whenever there is a power outage, these machines break down and have to be serviced. We last administered radiation in November last year and about 150 patients have been forced to live without the life saving medication since then while those who can afford have gone to Harare and other areas,” said Dr Ngwenya. He said Government recently purchased US$100 000 worth of uninterrupted power supply (UPS) batteries that should be installed as a long term solution to the problem. “We now have the batteries and our challenge is that we do not have bigger rooms to accommodate the UPS batteries. We therefore call on the Ministry of Local Government, Public Works and National Housing to prioritise this project so that we save lives,” he said. Dr Ngwenya said the construction of the needed room should take about a month once it commences. He added that despite the challenge, other departments in the cancer unit are functional and urged people to go for screenings. “Our mammogram machines are currently down as well which means we are currently not offering breast cancer screenings. “However, members of the public are encouraged to come forward and screen for other types of cancer since our chemotherapy, nuclear medicine and cervical cancer equipment is working,” said Dr Ngwenya. Recent statistics show that more than 60 percent of patients being attended to at the Mpilo Central Hospital Cancer Unit and other public institutions have stage three and four cancers. At this stage, the cancer would have advanced so much that it is virtually incurable.